is the founder and the core faculty of the institute. His energetic and jolly method of teaching English helps the students to grasp even the most complicated concepts of English very easily. In no time students develop confidence and presence of mind to express themselves in English with utmost clarity in Grammar and Vocabulary. They are able to use English as effectively as their mother tongue in every aspect. 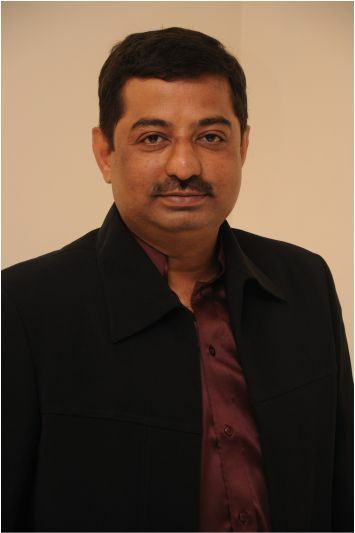 Having studied in Gujarati Medium School and then MBA from a reputed business school, he understands studnets’ difficulties very well. Moreover, having been with MNC before endeavoring in to the field of coaching, he is well aware about the skills required for students to perform in professional environment. Blessed with great innovative skills to teach grammar and resolute will to bring transformation, he has designed an entirely unique method of teaching English. While studying with him you would find entire English Grammar following 4 to 5 rules only (All tenses, Model Auxiliaris, Active & Passive voices / Directive formations, Negatives, Interrogatives etc…) For our students English Grammar is no longer a bunch of scattered, dry rules as taught in traditional way and that’s the reason why our all students get command over English so quickly and effortlessly. Apart from teaching, Mr. Bhatt is having a hobby of reading and field of interest range from history, politics and economy to quantum physics and spirituality. His seminars on general knowledge & current affairs and Work shops on self development scheduled on Saturdays have brought a great difference in personal as well as professional life of students. is the soul of Turning Point Institute as she has nurtured institute with a great care and being benevolent by heart she makes sure that no matter what, every student gets full support from us and achieve their goal. She has complemented teaching of Mr.Ashish Bhatt by designing variety of speaking activities and competitions to bring out positive energy from students and make them truly fluent in English. M.Sc. with rank in University, she has won many prizes and medals in Elocution and debate competitions at university and state level. She holds competence in conducting various activities like Public Speaking, Debates, Group Discussions, Extempore Speech, Presentations, small dramas and so on. 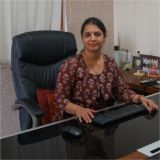 She has developed variety of activities and incorporated them in the course at different levels, keeping in mind the ability and needs of the students at respective stage of the course. Her meticulous way of motivating students to speak in English brings miraculous results and with least efforts students get rid of their hesitation and gain confidence and fluency in English.